Cinderella and the Colonel by K. M. Shea was one of the freebies given away at the Entwined Tales Launch Party on Facebook. K. M. Shea is an independent author who writes fairy tale adaptations. Her contribution to the Entwined Tales series was A Goose Girl, which is based on a fairly obscure fairy tale, but I skipped ahead in that series and only read A Little Mermaid by Aya Ling. I was a bit skeptical about Cinderella and the Colonel because it seemed like such an odd name for a book but figured I might as well give it a shot since it was free, after all. The book turned out to be just as odd as its title. For the first three-quarters of the story, it bore virtually no resemblance to the famous fairy tale. Unlike in other adaptations, "Cinderella" seemed to be the main character's given name, as opposed to "Ella." There were no references to her working by the cinders or being abused by her stepfamily. In fact, she refused to be pushed around by anyone. The most jarring thing about this book is that the main character appears to have virtually no relation to her namesake. Gone is the humble mousy girl who does everything she's told and dreams of freedom only when she is alone. In her place is a clever, cunning, sassy seventeen-year-old redheaded entrepreneur who acts as if she is forty. This incarnation of Cinderella is a prideful duchess who is forced to sell most of her possessions and do odd jobs of her own volition in order to afford the heavy taxes that the new monarchy placed on her land when they conquered her former kingdom. If you think that sounds a little too realistic and political for a fairy tale setting, you would be correct. There was so much talk about taxes and government loopholes throughout the story that I felt like giving up several times. The payoff comes far too late in the story and feels rather forced. It is primarily a love story, but a strange and somewhat uncomfortable one. When an army colonel from the new regime insists on buying Cinderella's time, she feels obligated to oblige due to his high status and her undesirable place with the queen who is trying to take her land away. She attempts to rid herself of him in the most passive-aggressive way possible. While giving him a tour of her land, she recites the most boring historical facts she can muster for hours an attempt to make him so exhausted that he will relinquish his advances. Unfortunately, her plan fails miserably. No matter how much she tells him she is not interested, he continues courting her, especially after she saves him from an assassination attempt. I feel that this book could have found a more suitable audience if it didn't have "Cinderella" in the title. It would be good for people interested in realistic fantasy or historical politics. The fairy tale aspect felt out of place when it came so late in the book, and it was strange seeing such a non-Cinderella-like figure suddenly take on the role of Cinderella. There was also a somewhat preachy message about prejudice due to the way Cinderella unjustly hated the people from the conquering kingdom just because they took over the old regime and tried to tax her out of her land. Supposedly, that was why it took her so long to warm up to Colonel Friederich, although it seemed to me that she was legitimately not interested and simply got worn down by his persistence. I would hesitate to recommend Cinderella and the Colonel to fans of fairy tale adaptations because most of it does not feel like a fairy tale. There's too much talk about politics and taxes, and a lot of the book is boring and slow. I'm sure there are people out there who would enjoy that sort of story, but I am not one of them. 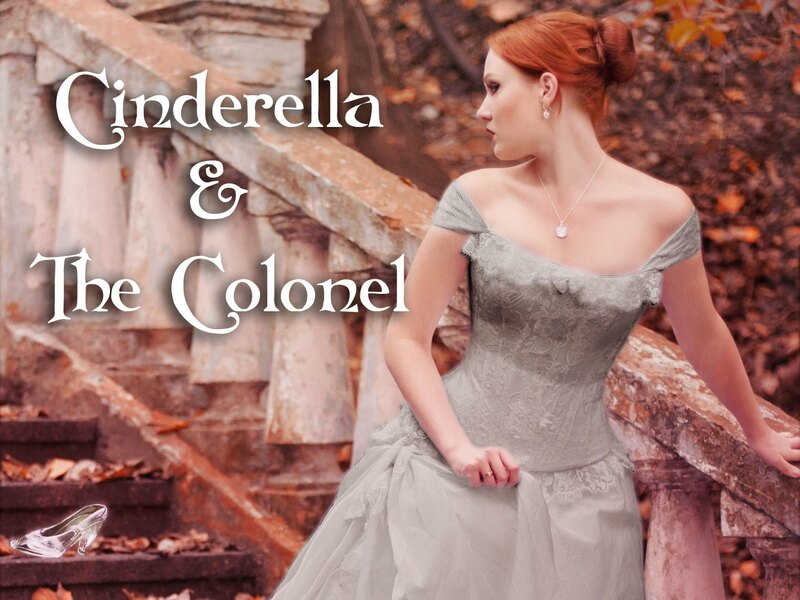 Cinderella and the Colonel is the third book in K. M. Shea's Timeless Tales series of fairy tale retellings that appear to be linked by a shared world and the presence of an enchantress who visits the main characters in each fairy tale. Despite my shortcomings with this book, I am still curious to read The Little Selkie and Swan Lake because it is so rare to find retellings of "The Little Mermaid" or "Swan Lake" in novel form.